New to the plankton? Learn the lingo before drifting through the website, by visiting the Plankton Info page and the Under the Scope Glossary. Have an idea or request for a new zooplankton module? Please contact us! 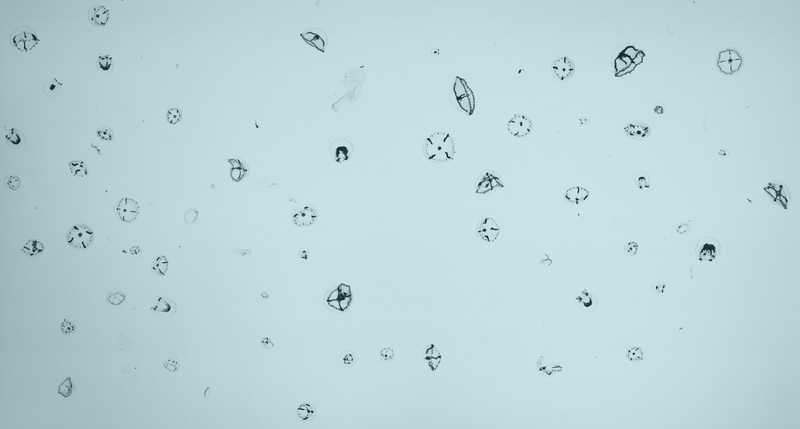 Interested in collecting and analyzing your own plankton sample? There are plankton nets and magnifying systems for all budgets and interest levels. Have a look at our How To page for more information! If you are a Delaware teacher interested in participating in the summer 2017 Under the Scope workshop, please contact us! For more great zooplankton activities and information, please visit the Bridge website's zooplankton resources. Oregon Institute of Marine Biology (OIMB) GK12's "Meroplankton Match-up"
SAHFOS' "Meroplankton Snap: What will I grow into?" Have access to a 3D printer? Now you can print models of five different phytoplankton species, and two different zooplankton species (coming soon)!